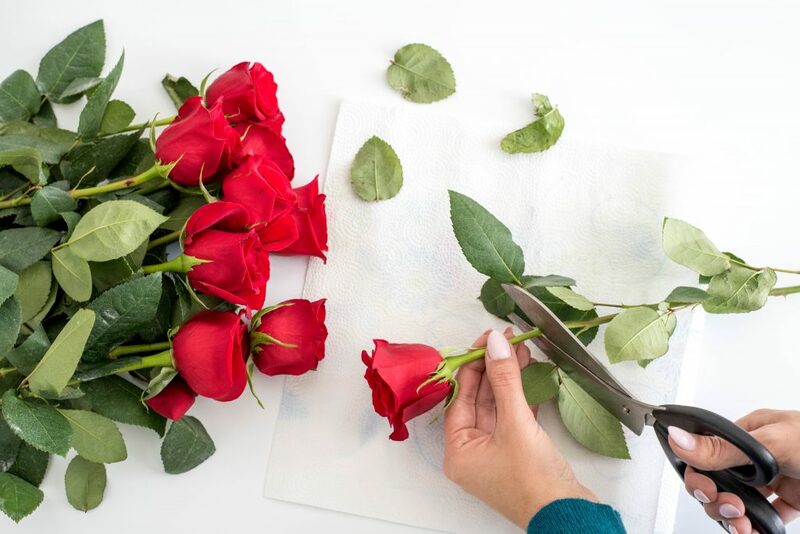 Switch up the basic bouquet of flowers this year for Valentine’s Day and make your own! 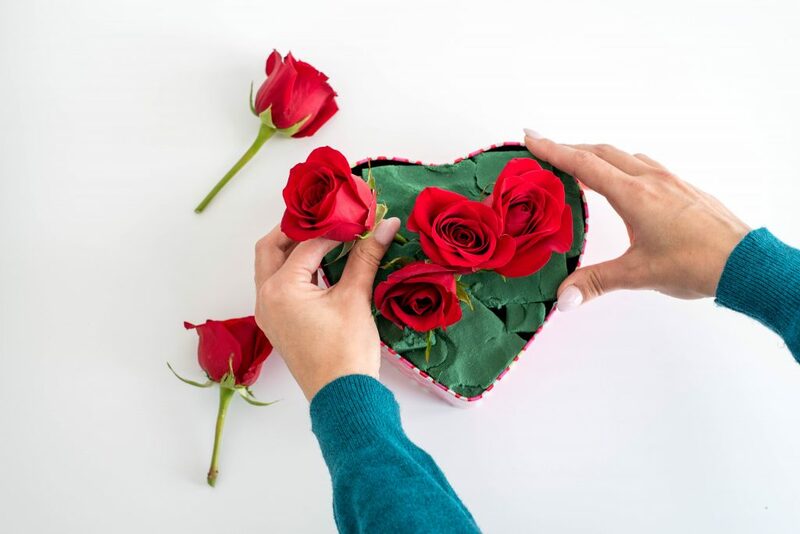 This DIY Valentine’s Day Flower Arrangement is a cinch and so cute! The month of love, chocolate (my fave), and flowers is here! 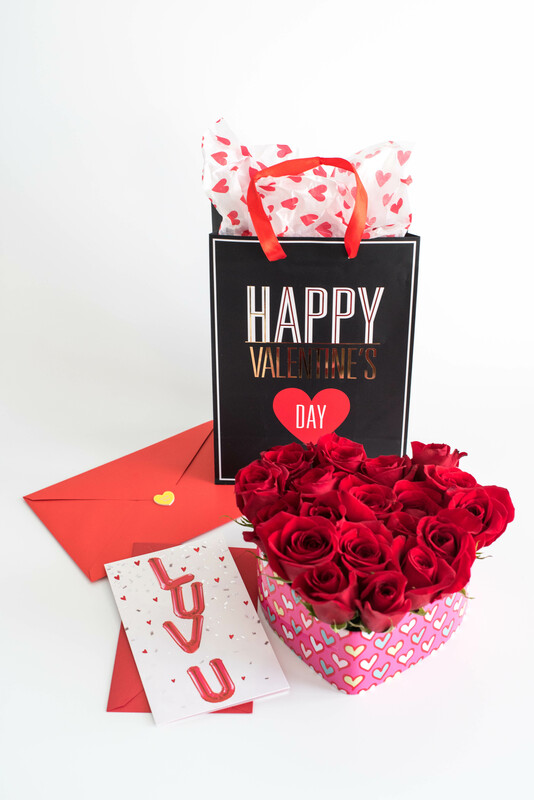 Instead of sending a traditional bouquet of flowers this year, switch things up and create your own! 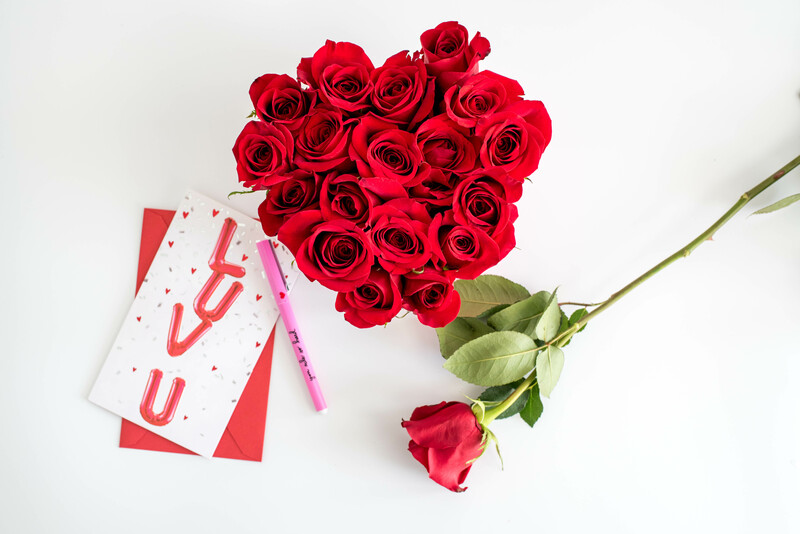 I’m sharing the simple tutorial for this DIY Valentine’s Day flower arrangement today, and after you see how easy it is to create, you’ll be making one for your significant other and all of your besties too! I’m all about ease lately, so this DIY is right up my alley and the perfect project to fit into my schedule. Anyone else have a super busy week like me?! Managing your schedules can be complicated, but don’t stress about Valentine’s Day and making it perfect! You can make it meaningful without going overboard or driving yourself crazy! I picked out some American Greetings cards to go along with my flower arrangement. (I also snagged those cute candy heart stickers to seal my envelopes with!) Since I don’t have a significant other, I figured why not show my besties just how much they’ve meant to me over this last year! They deserve a little love too, right? And just because I’m single doesn’t mean I can’t have a little fun for Valentine’s day either! 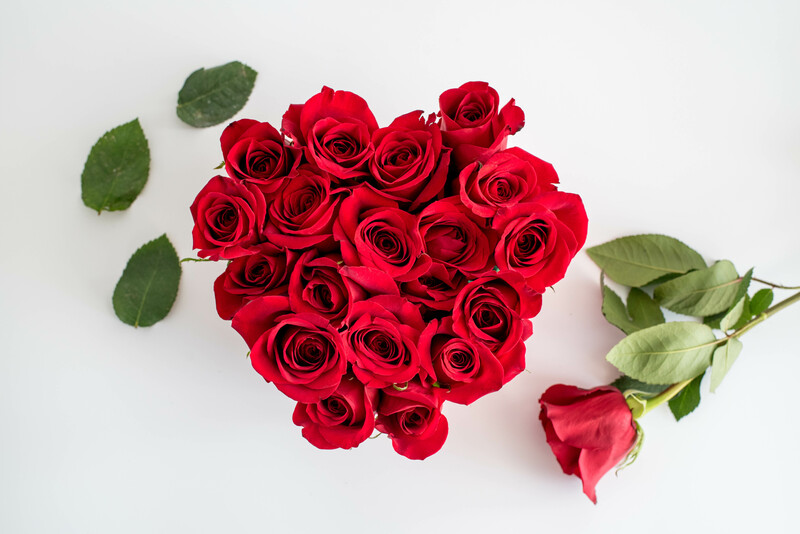 But, let’s get back to that DIY Valentine’s Day flower arrangement that’s going to make you look like a DIY genius, when in reality, you could even have the kids help with this one. 😉 Your secret is safe with me. If you guys are anything like me, I like having lists around to keep my crazy thoughts organized. (I am a list freak!) 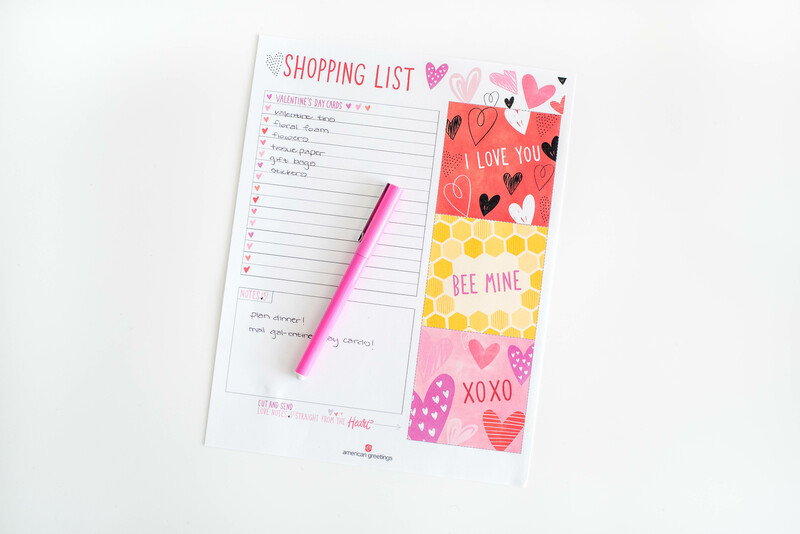 American Greetings has the CUTEST free shopping list printable, including tear off love notes…umm, adorable. You can download your copy (And more fun Valentine printables!) here and use it to run to the store to grab your supplies! The first thing you want to do is turn that treat container into the perfect little floral “vase”. 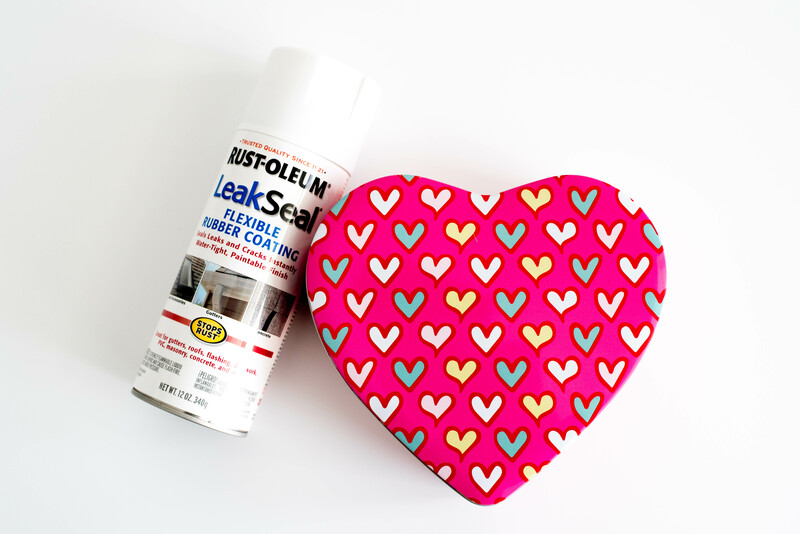 Using your leak seal spray, coat the entire inside of the bottom half of the tin. This is going to seal our container and keep the water (and flowers) fresh and happy inside. The leak seal usually comes in a few different colors; black, white, and clear. I used white. Follow the directions on the back of the can and allow your tin to dry completely before using. 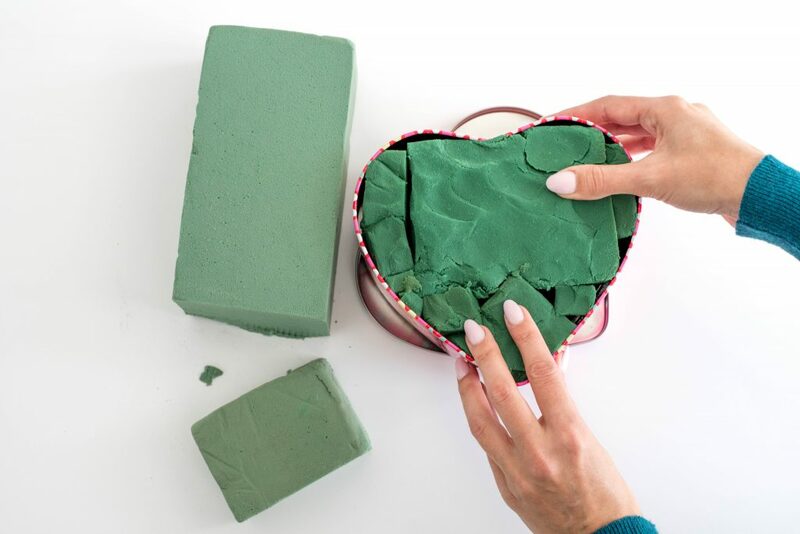 Once your tin is dry, soak your floral foam and then begin fitting the foam into your tin. Floral foam comes in rectangular blocks, so you will have to cut sections to get it all filled. Because the tin is such a weird shape, it’s not going to be pretty to get it all in there, but you won’t be able to see it once the arrangement is complete, so fill away and don’t worry about how it looks. Once you tin is full with the floral foam, it’s time to prep your flowers. Measure your flower stems up against the side of your tin to see how long they need to be before cutting them. Then begin cutting the stems on an angle, using scissors. This helps the flowers to absorb more water and stay fresh longer. 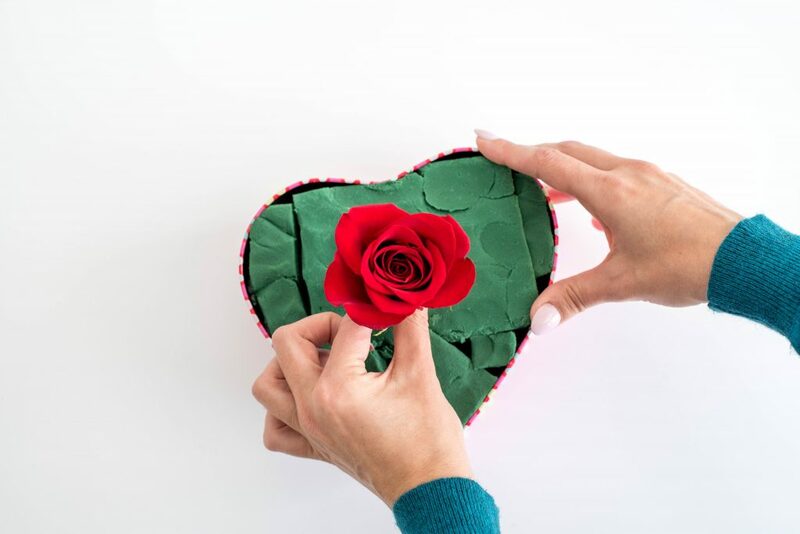 Starting at the center of your tin, begin placing your flower stems into the floral foam. Get them as low into the foam as possible without damaging the stem, so that the petals on the flower help to cover the foam. Working your way out from the center, begin filling in the tin, keeping the stems close and tight. Continue until the floral foam is covered and the tin is full and dense. But the best part…? This DIY Valentine’s day flower arrangement is a cinch to make and looks like it took a lot more time than it actually did. Win/win! Need some help with what to write in your Valentine’s Day cards? 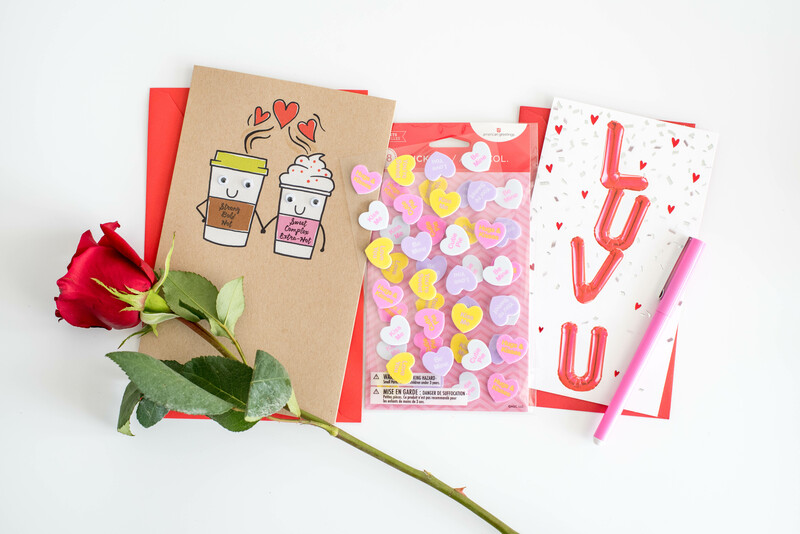 Check out the helpful tips from the American Greetings creative director here. 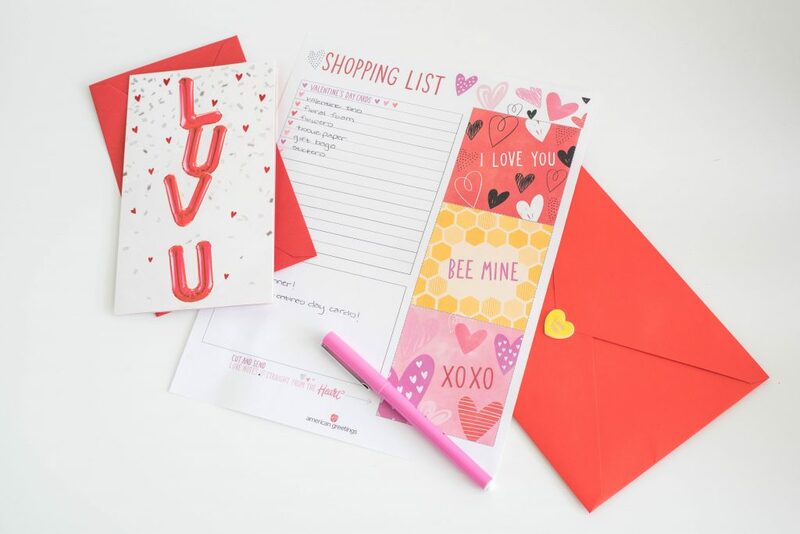 Need to find out where to pick up some American Greetings Valentine’s Day cards near you? Find out where to get yours here!